The Bosch 044 fuel pump has a 18mm female inlet and 12mm outlet. 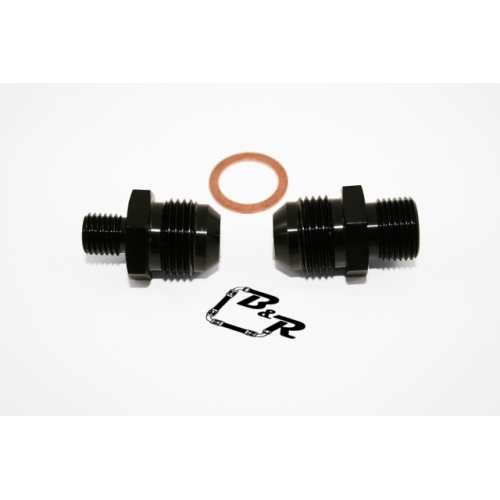 With our fittings you can convert them from metric to AN. Just choose what size you want to convert them to. When you order the 18mm fitting it comes with the copper sealing washer. For the 12mm fitting just use the sealing washer supplied with the bosch 044 fuel pump.